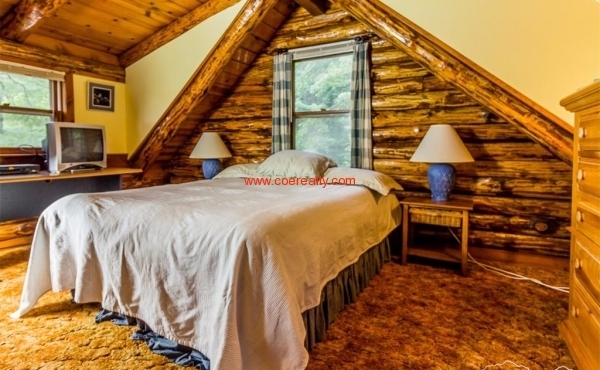 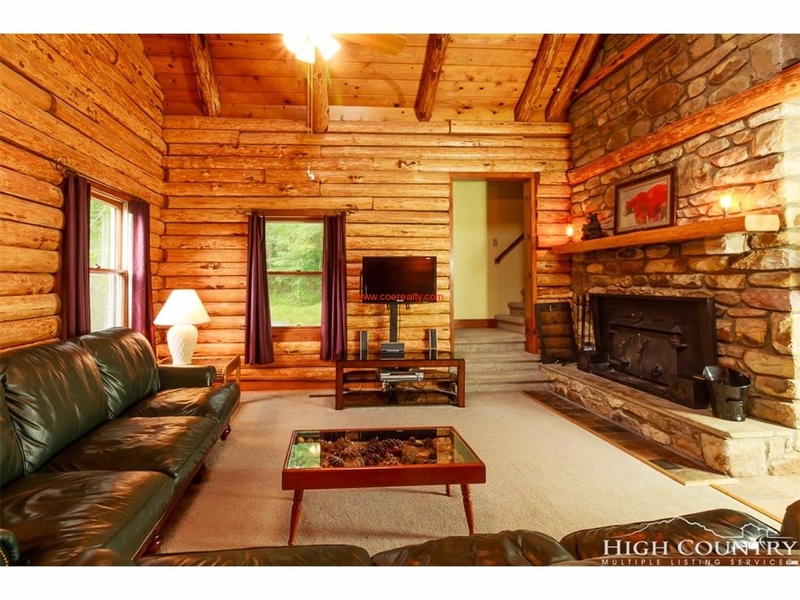 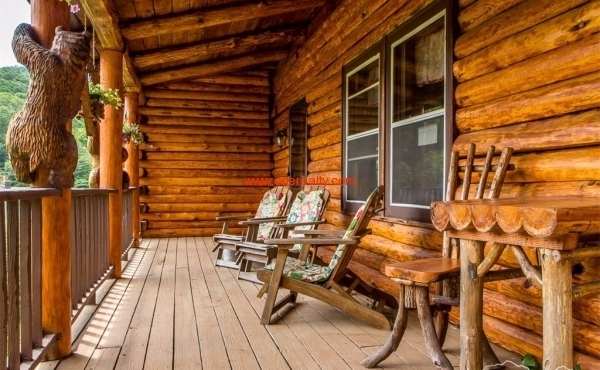 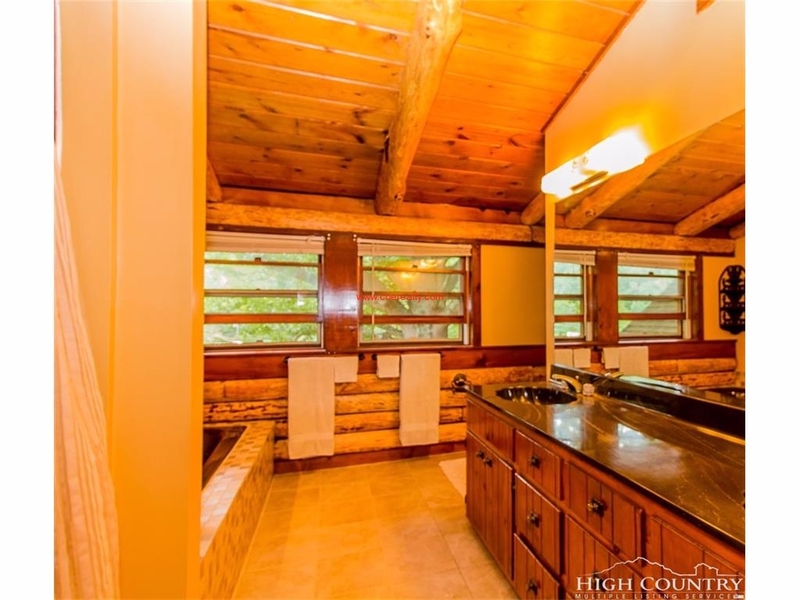 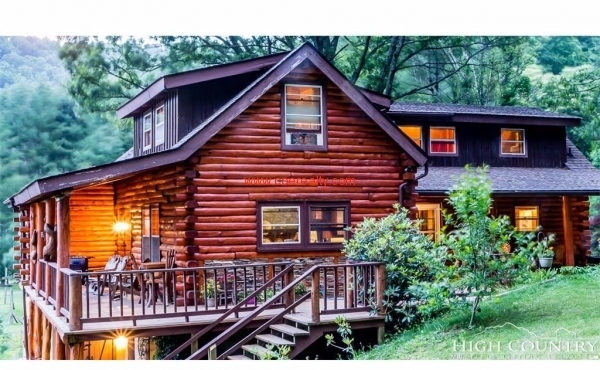 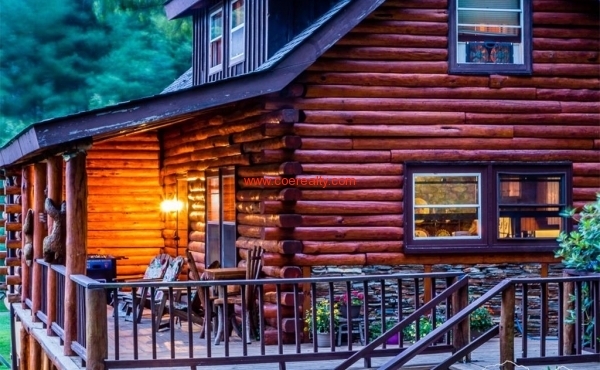 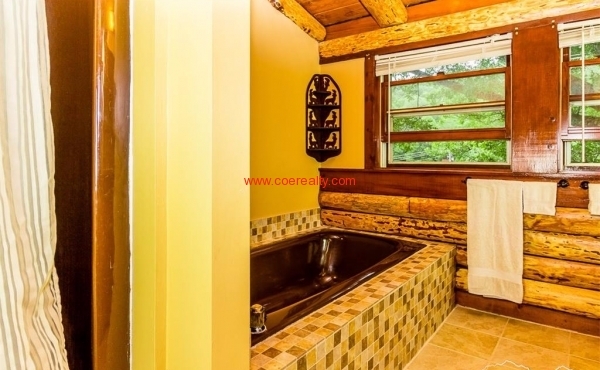 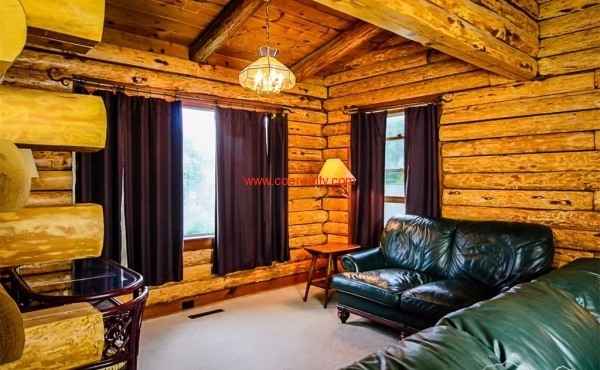 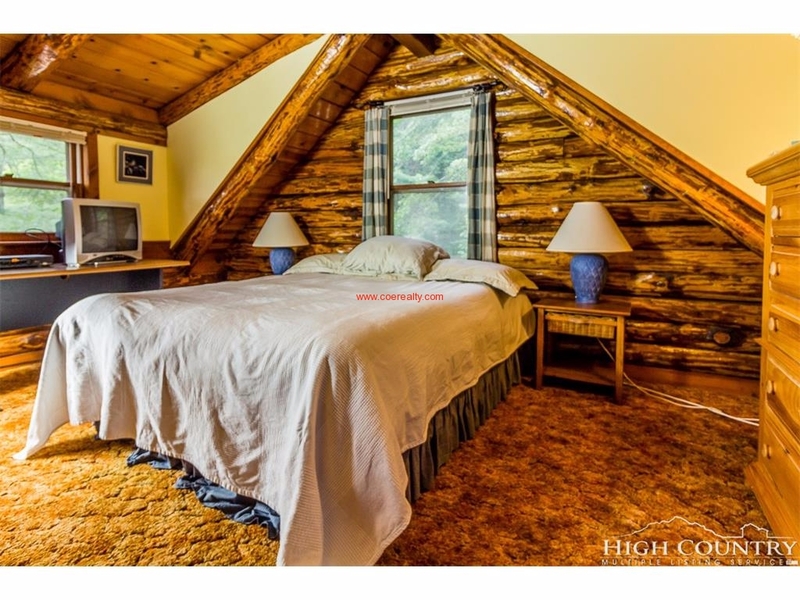 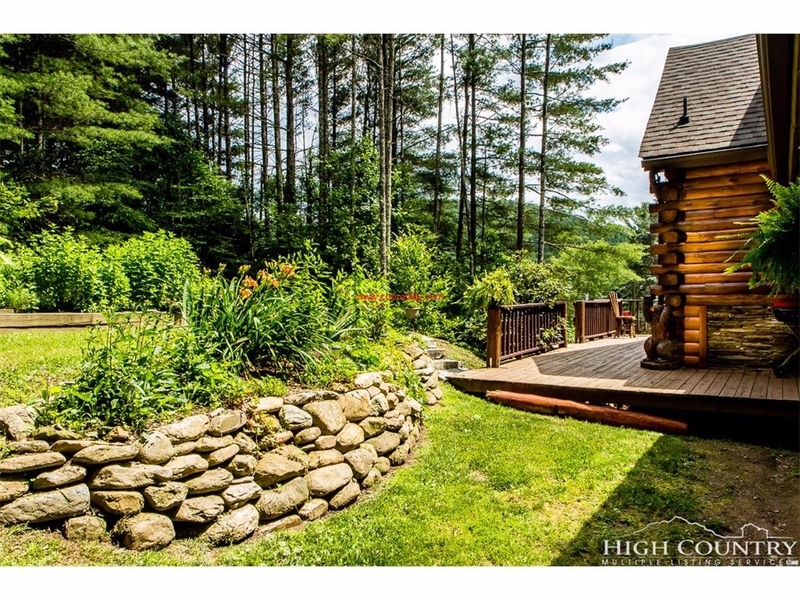 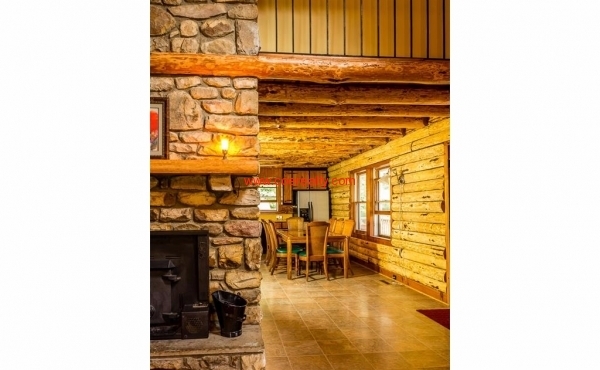 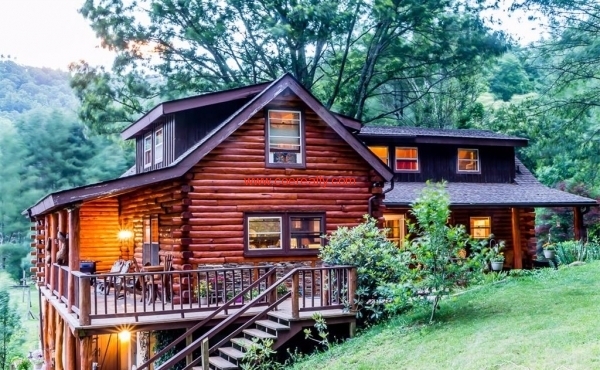 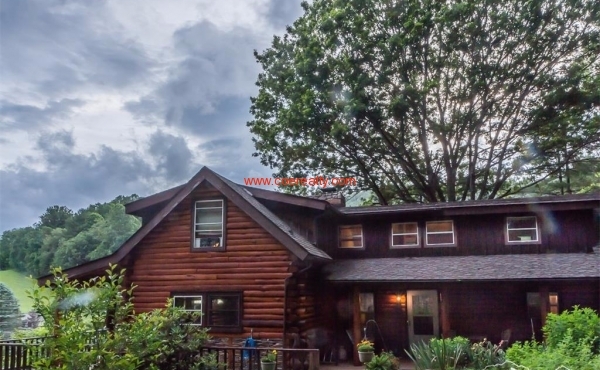 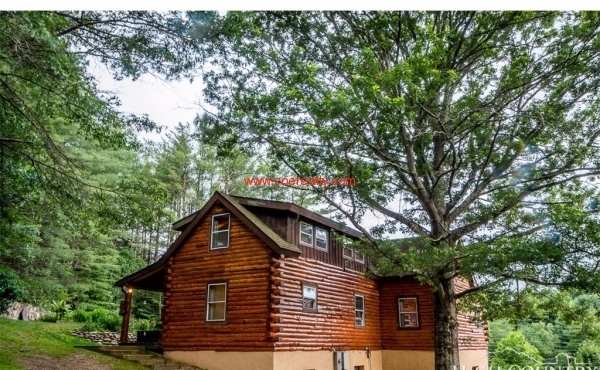 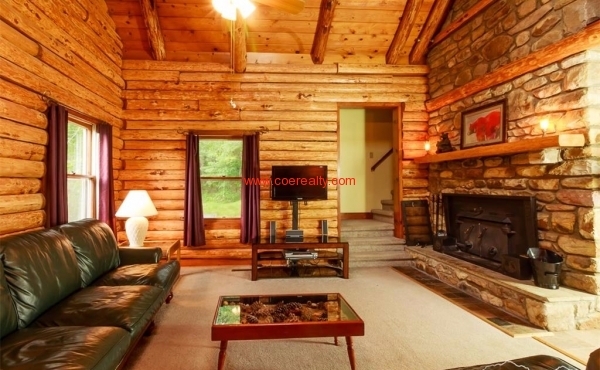 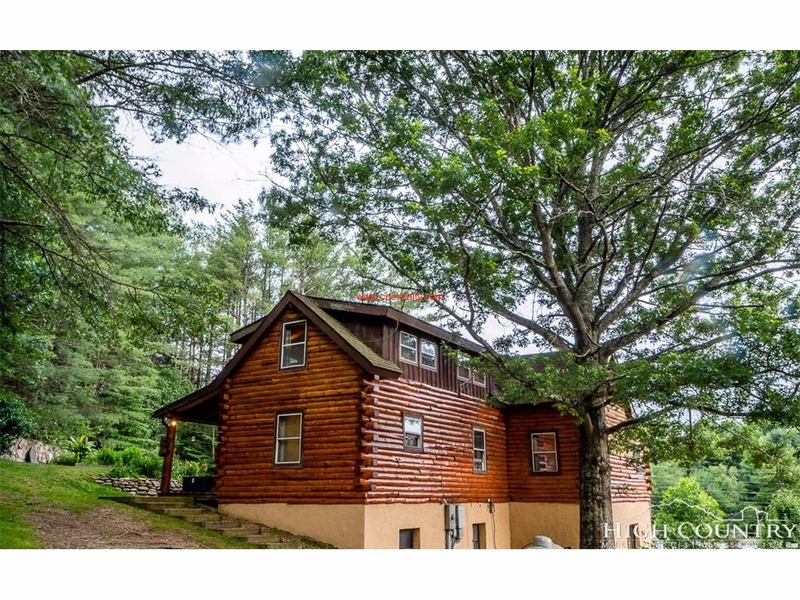 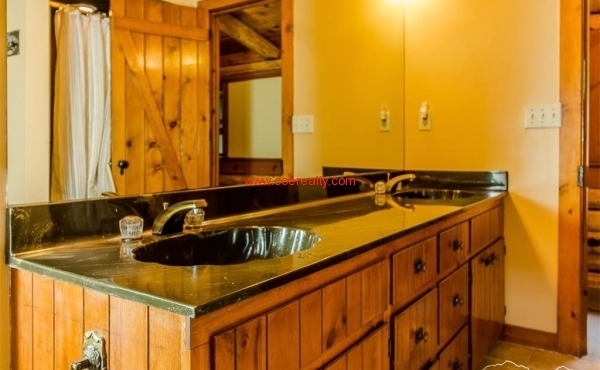 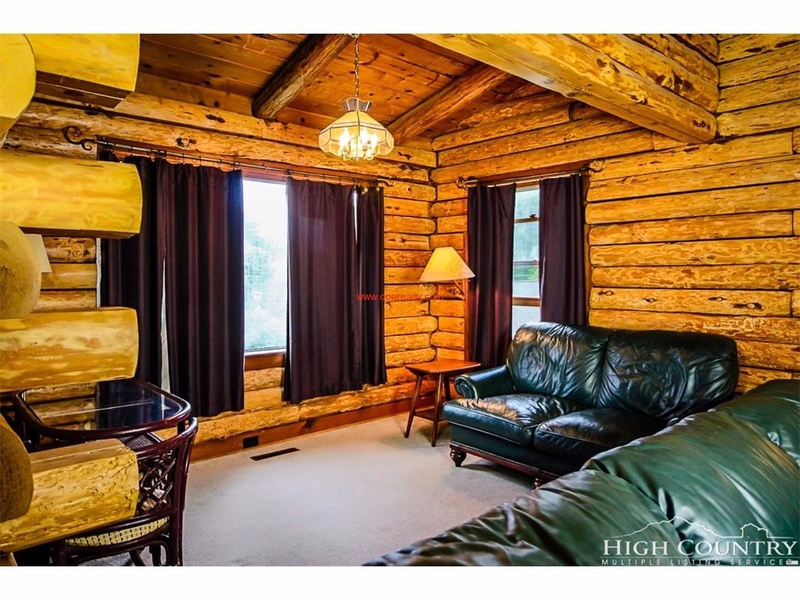 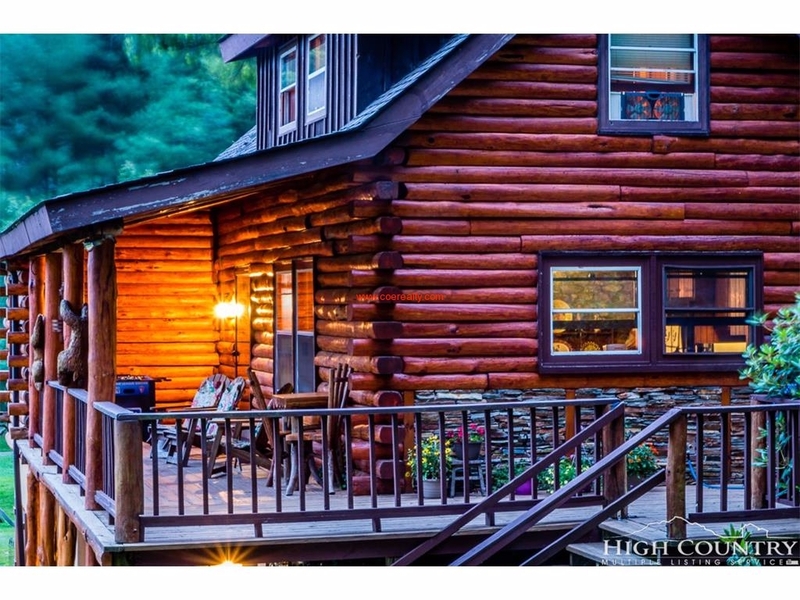 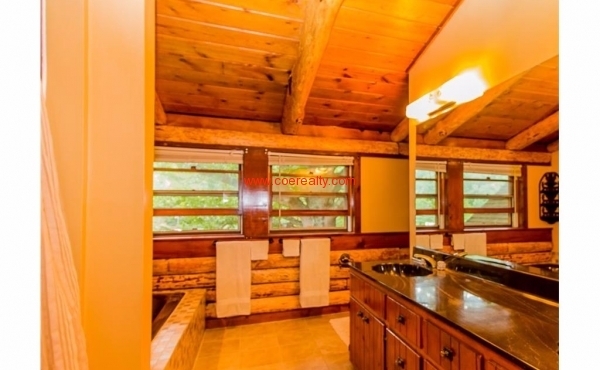 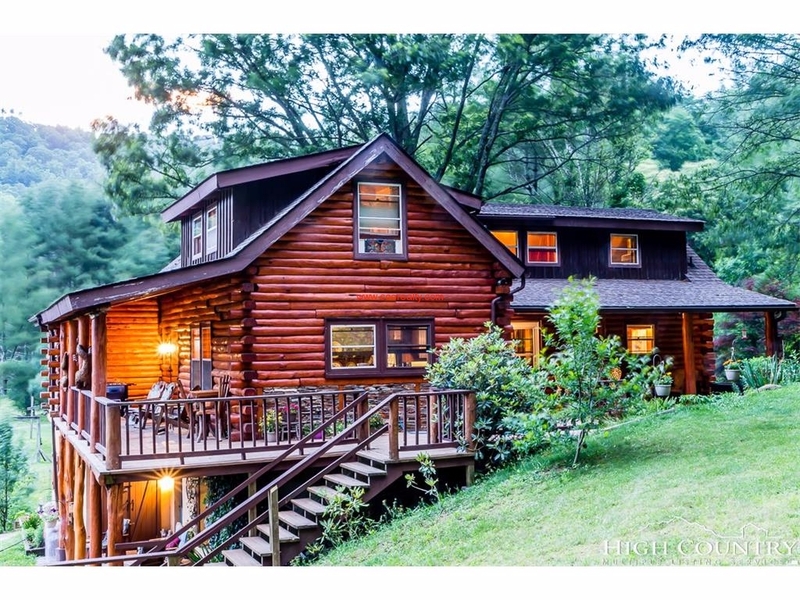 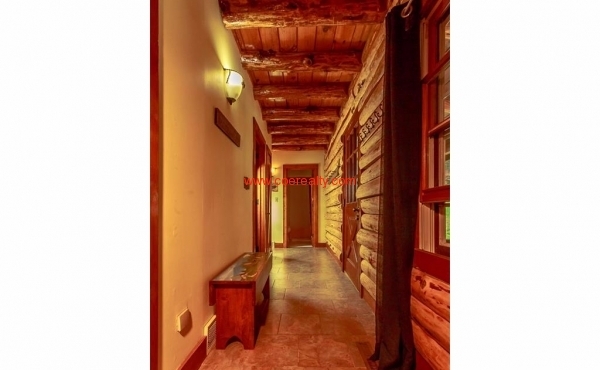 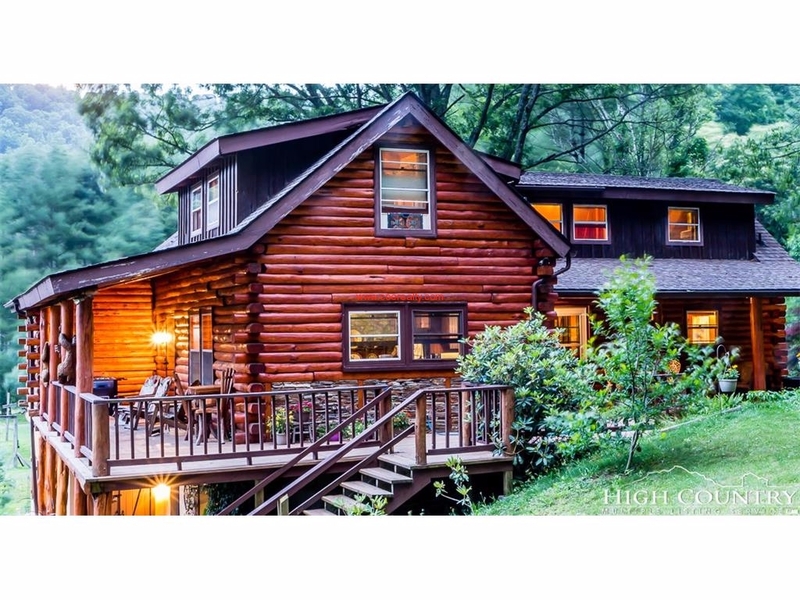 The uniqueness of this log cabin makes it very special to the high country of Western North Carolina. 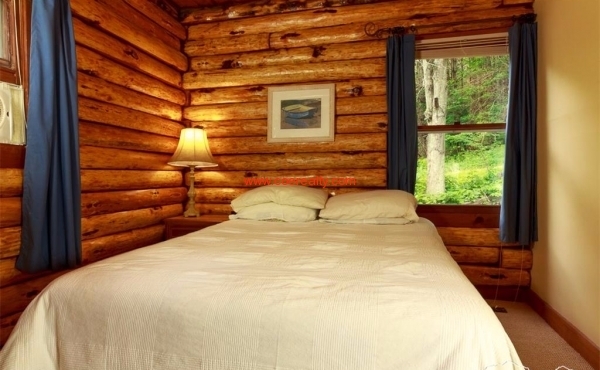 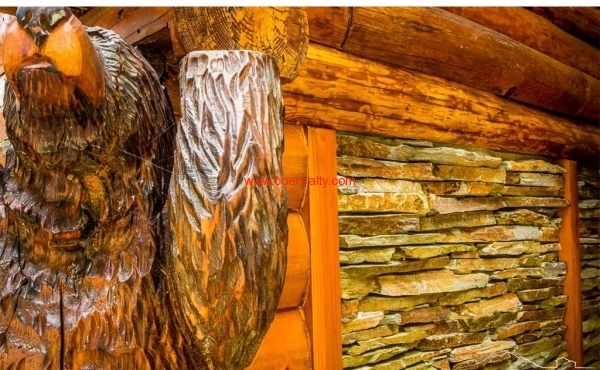 Each log has been shaped by hand, thus retaining its individual character and creating the ultimate rustic cabin. 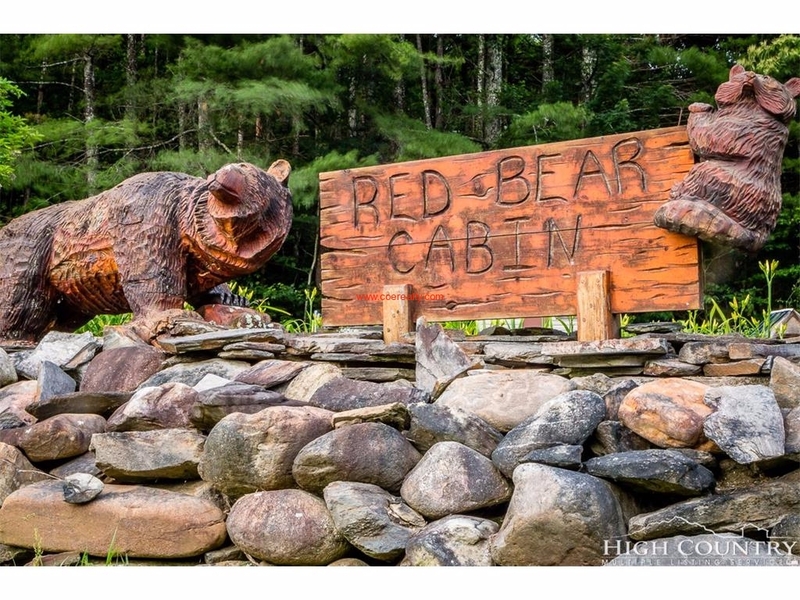 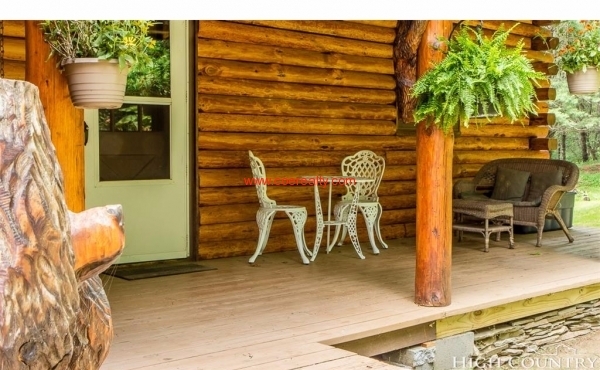 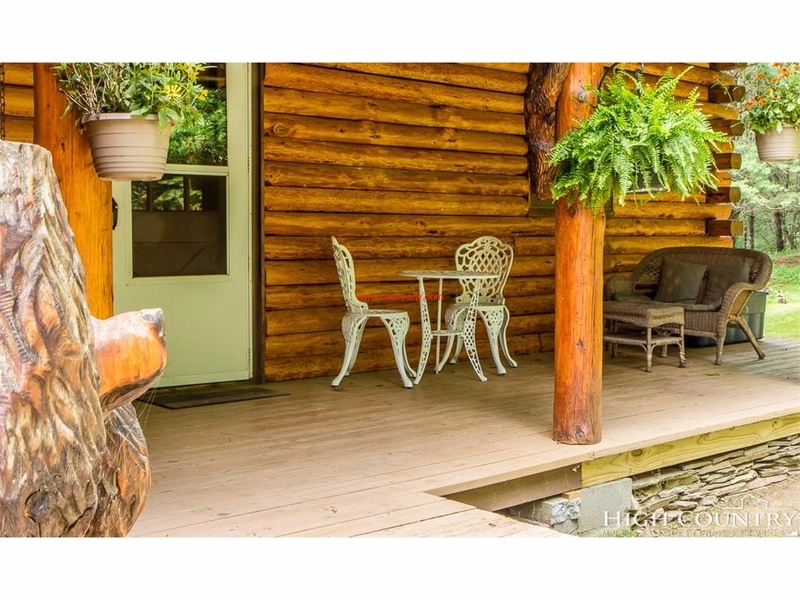 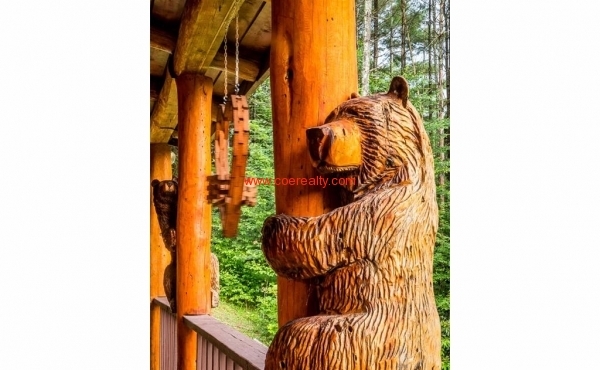 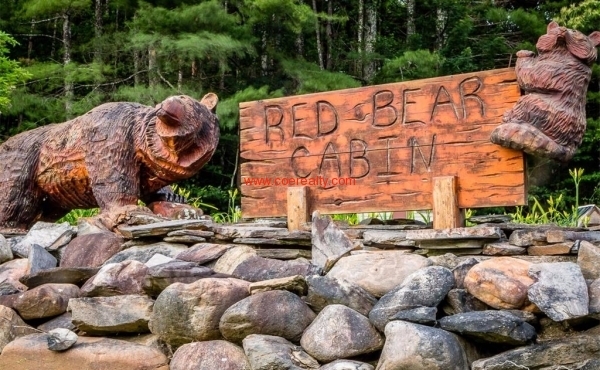 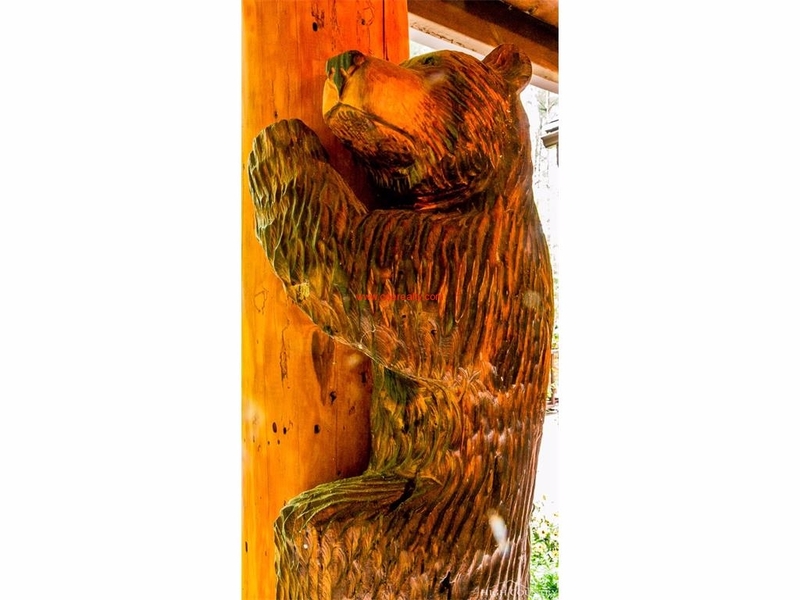 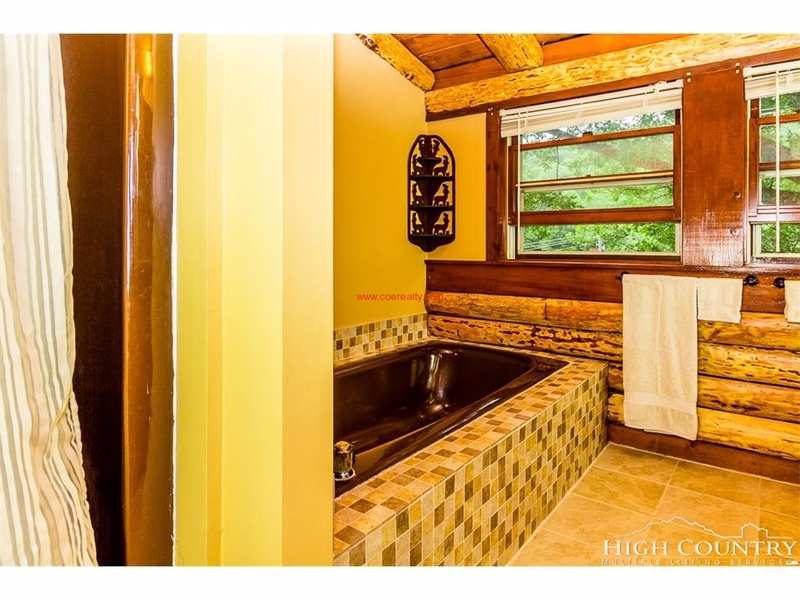 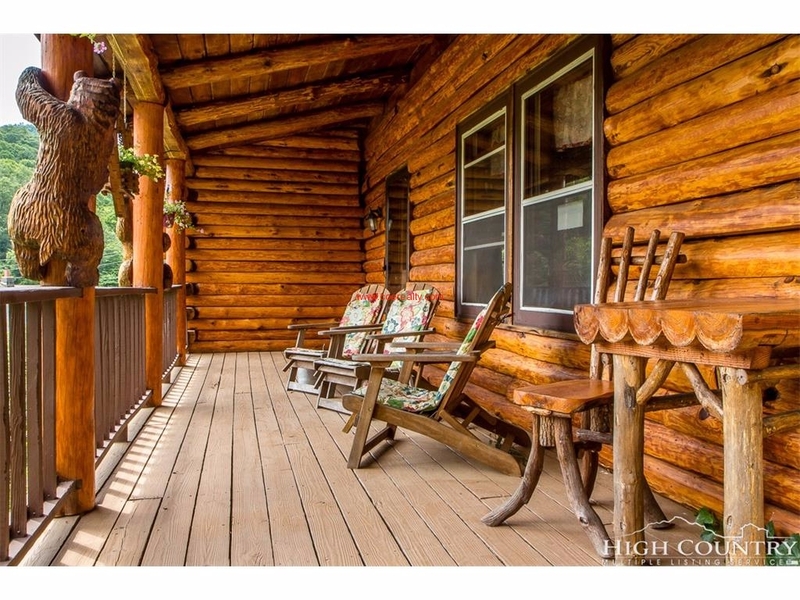 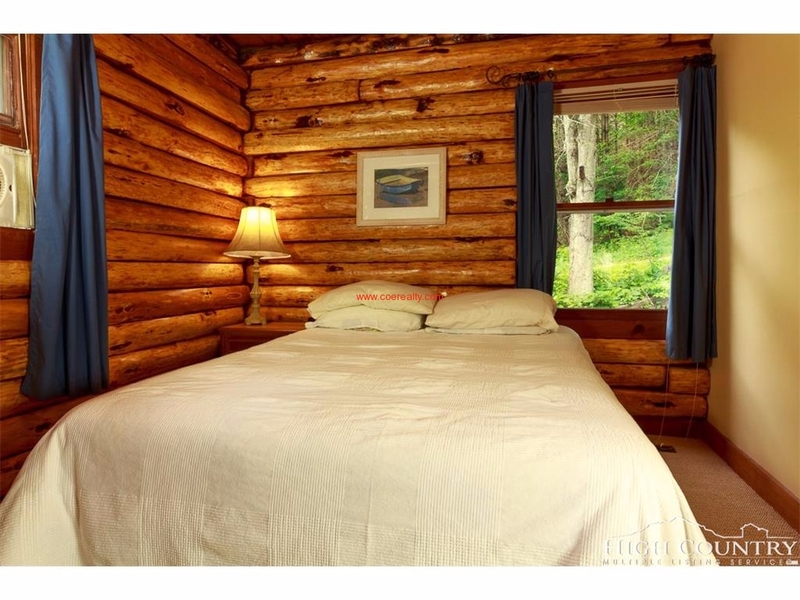 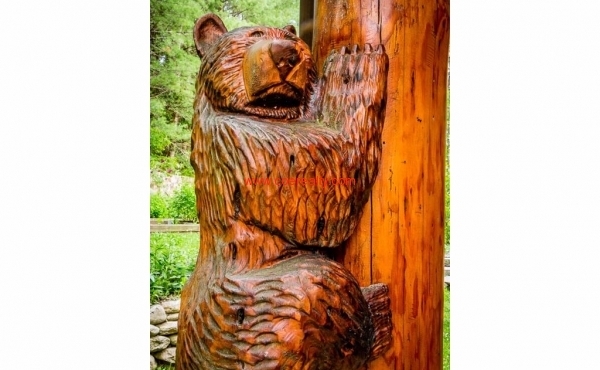 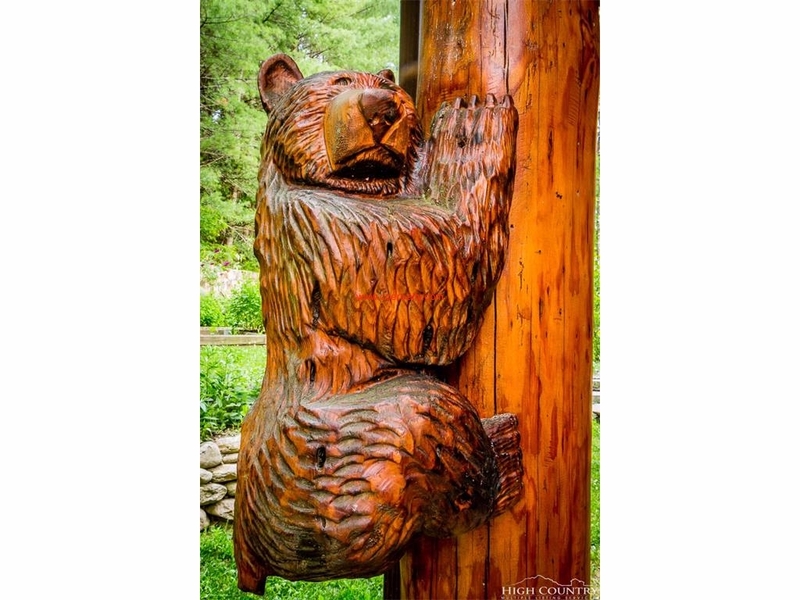 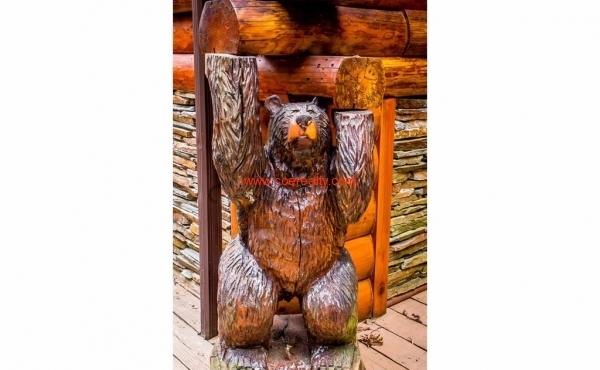 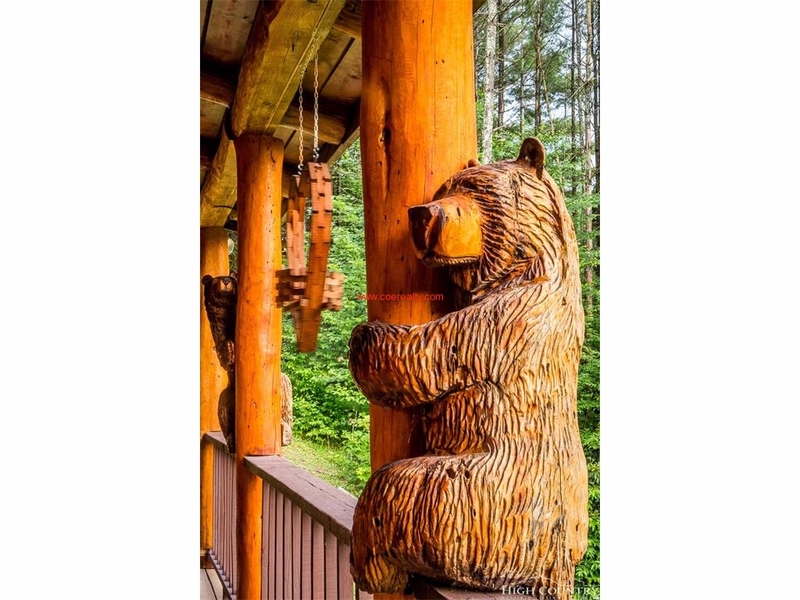 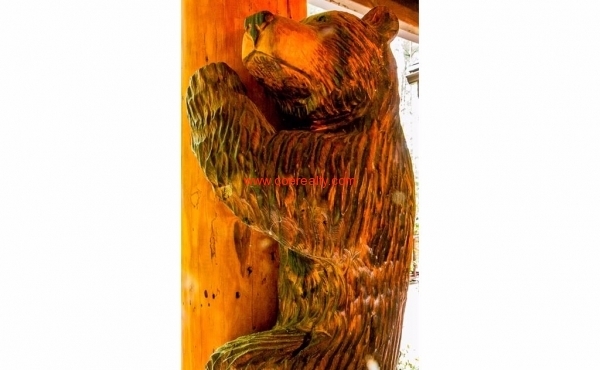 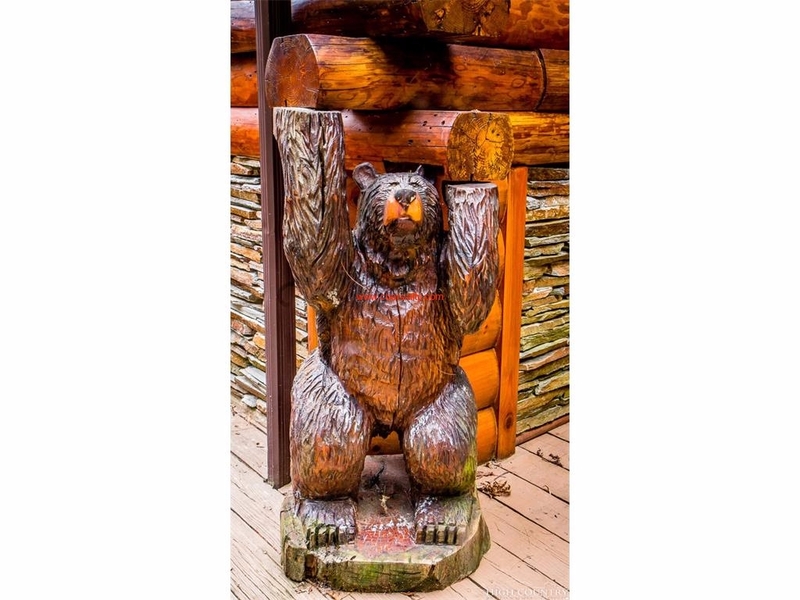 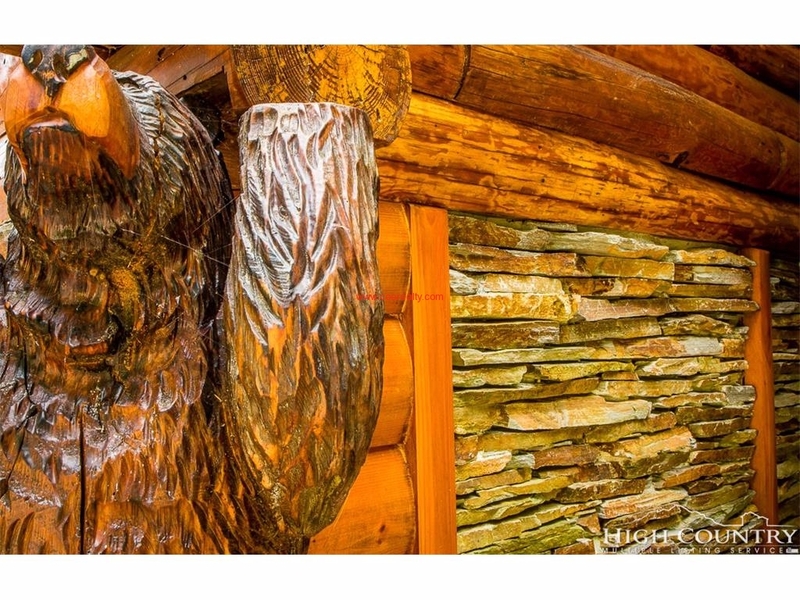 Hand-crafted log bears with personality climb the outside posts and one holds up a corner of the cabin. 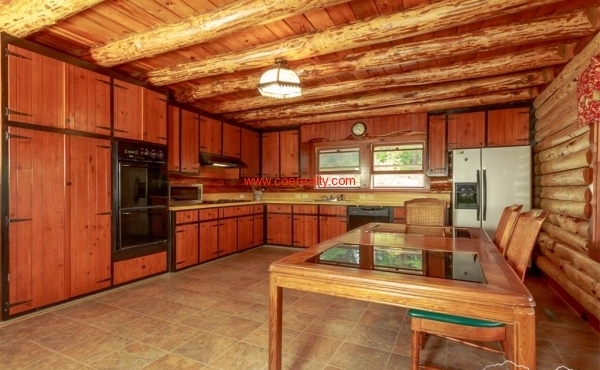 The spacious country kitchen and dining area opens to the large living room, for the open concept so desired today. 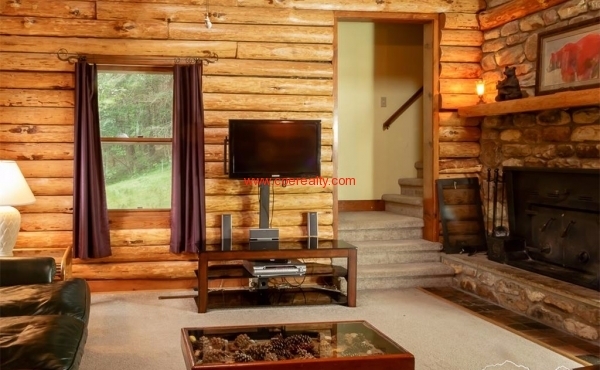 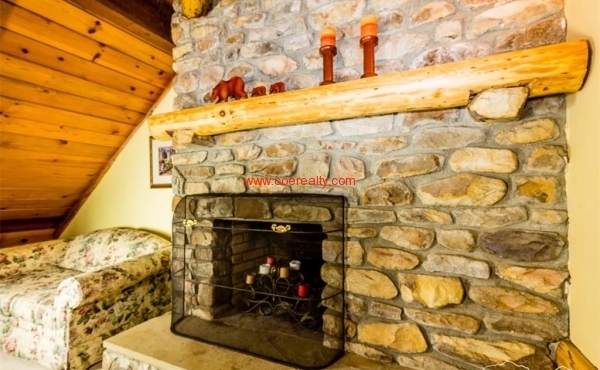 The wood burning fireplace in the living room is surrounded by a [true] stone floor-to-ceiling fireplace. 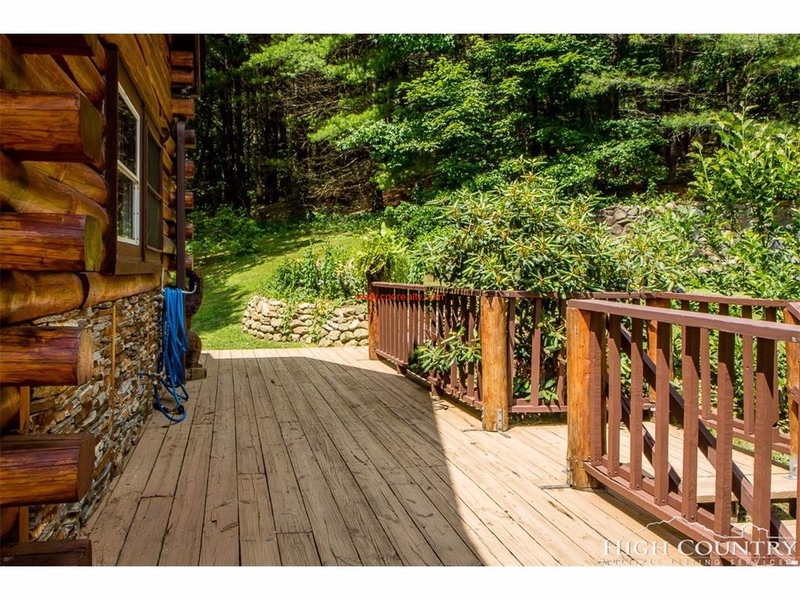 Tons of covered decks provide space to spill outside and enjoy our cool high elevation summers. 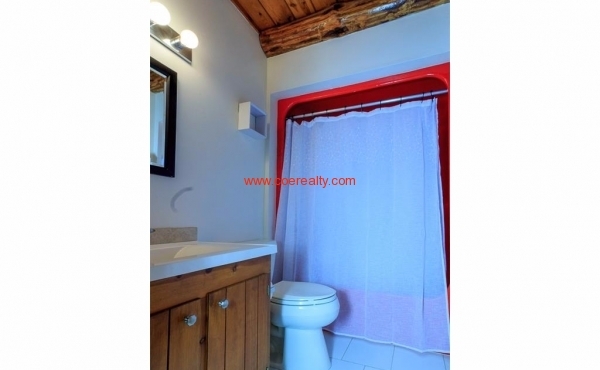 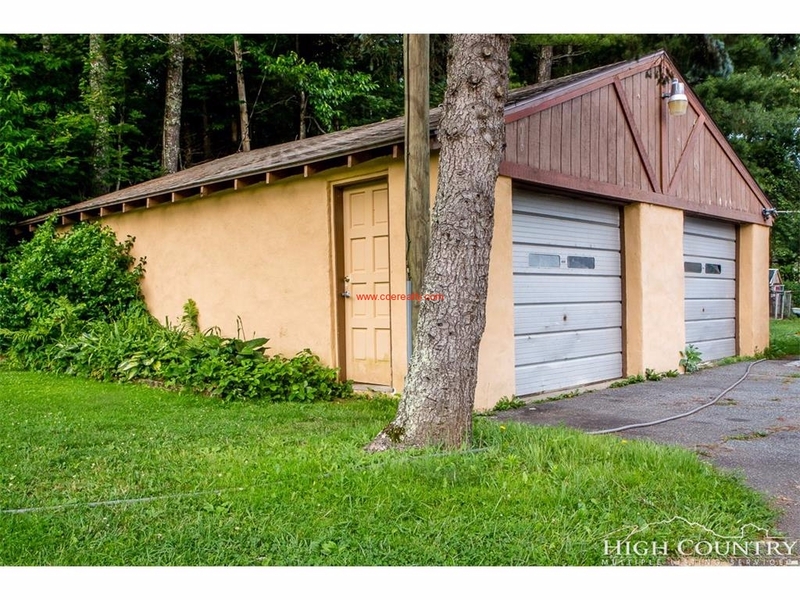 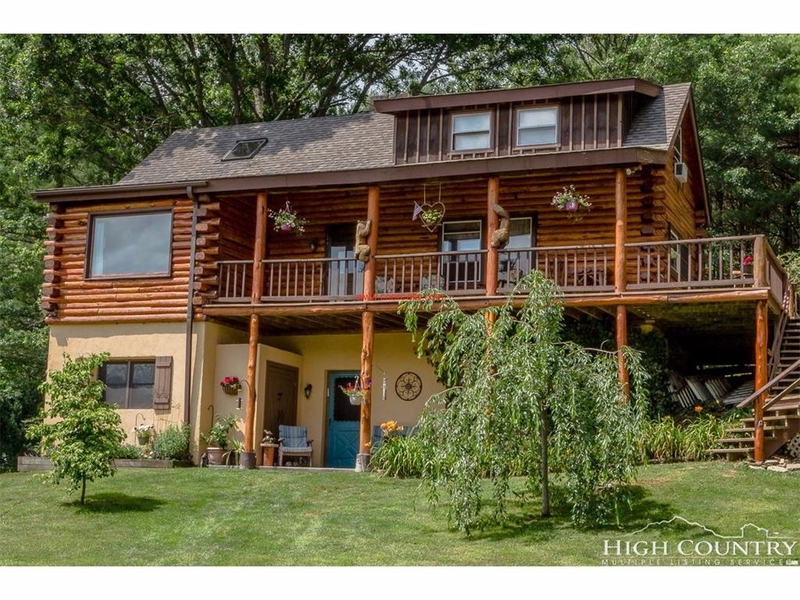 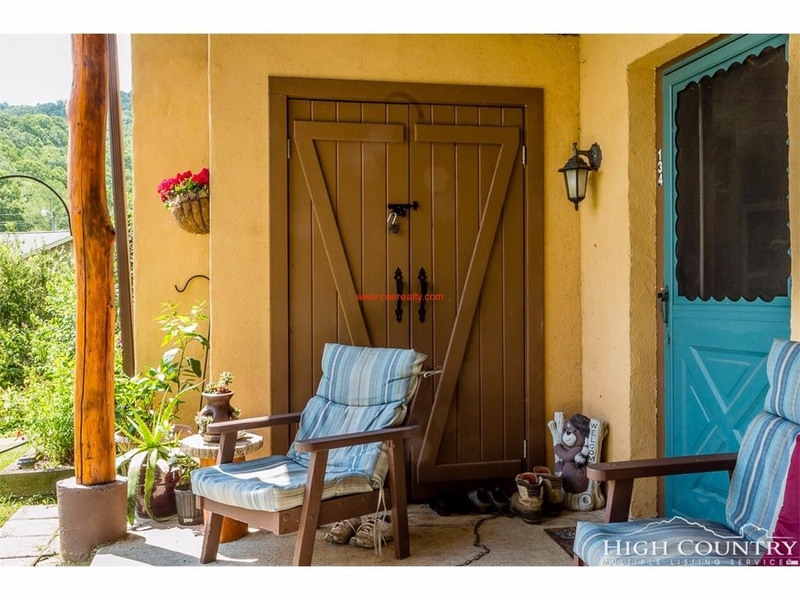 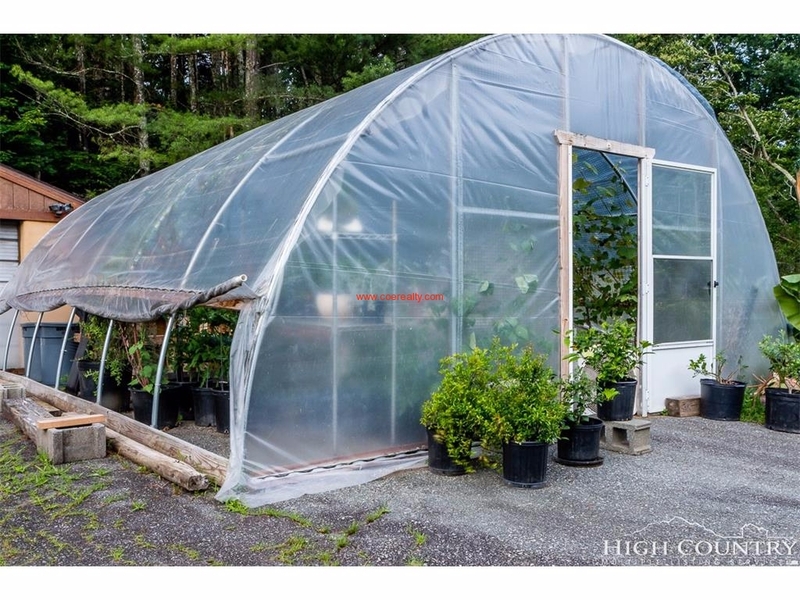 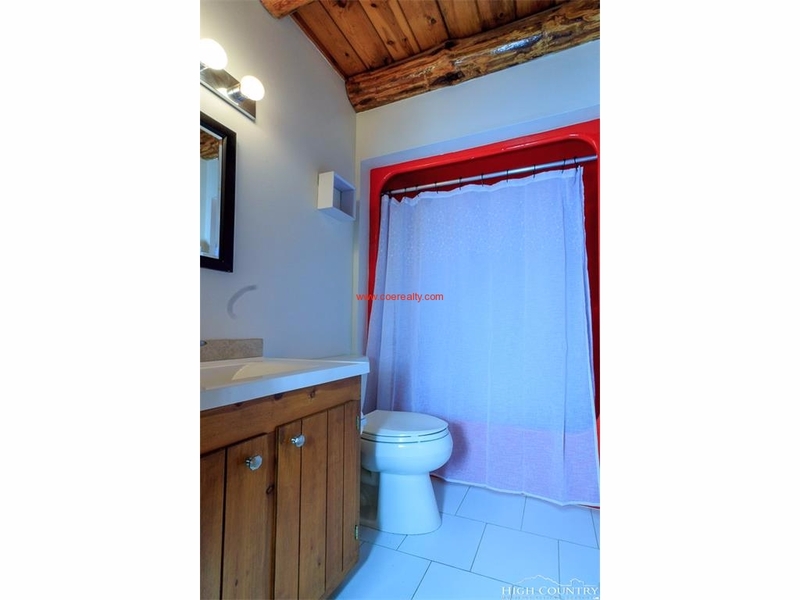 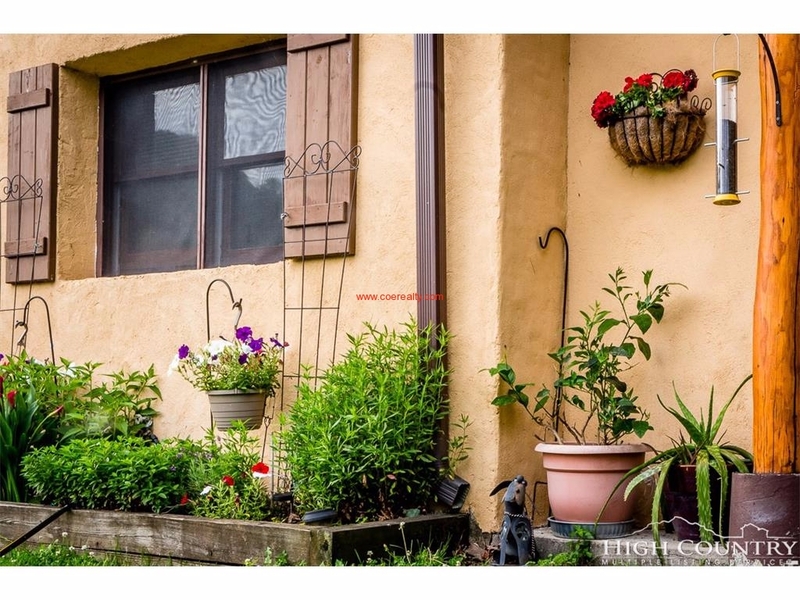 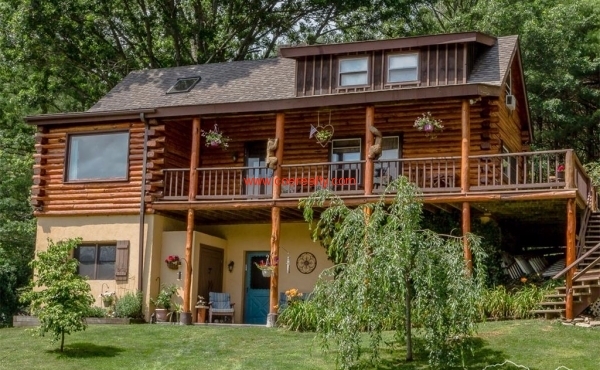 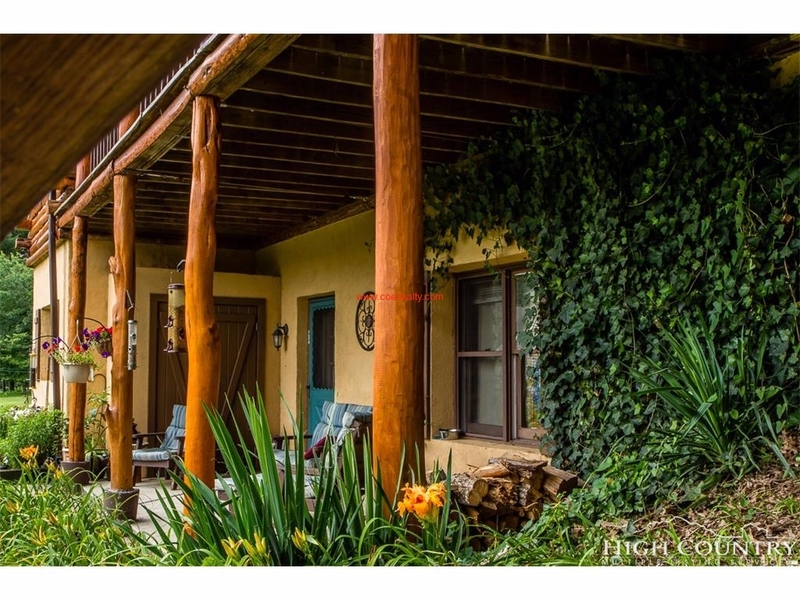 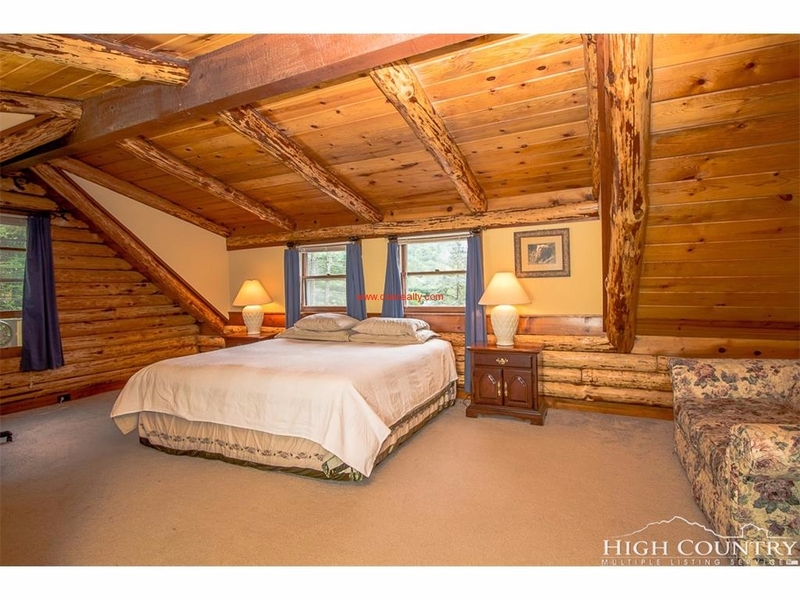 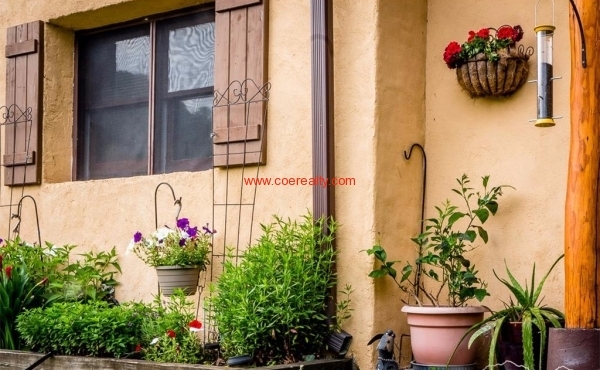 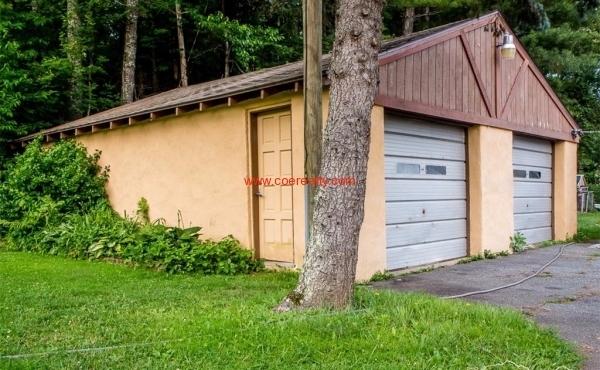 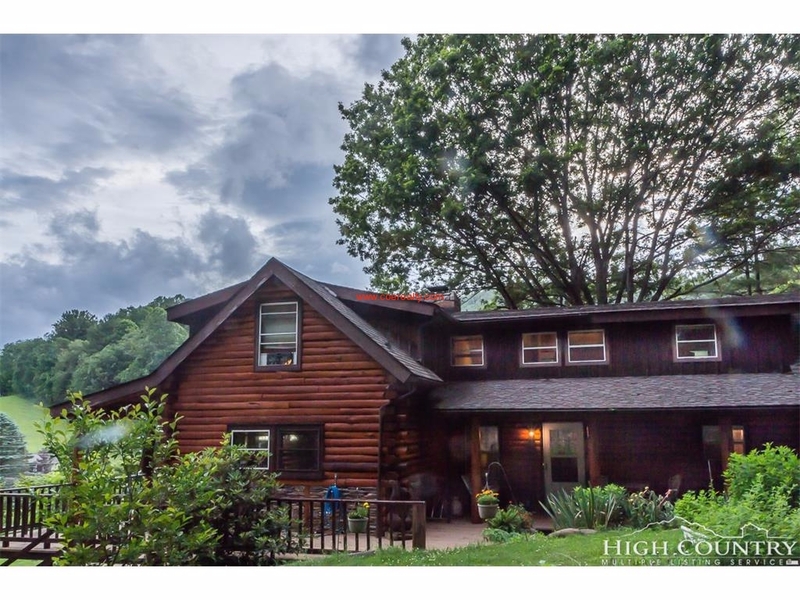 Four bedrooms on the upper two floors and two full baths accommodate a large company. 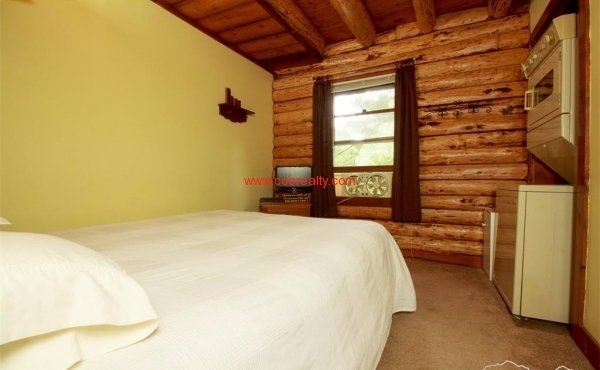 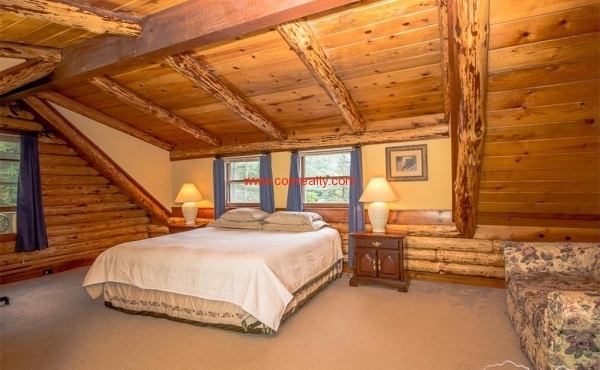 Its very own fireplace charms the master bedroom. 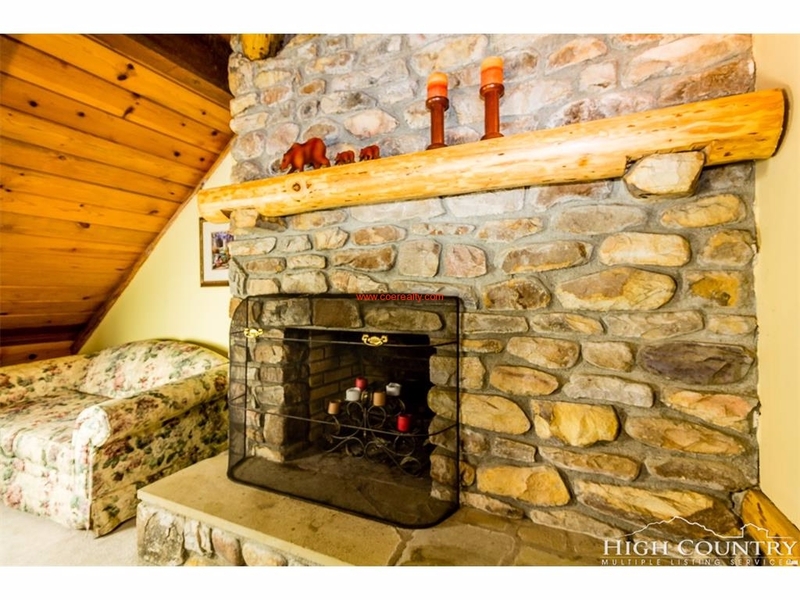 The lower level offers another living area with kitchen, full bath, two bonus rooms, and a living room with another fireplace. 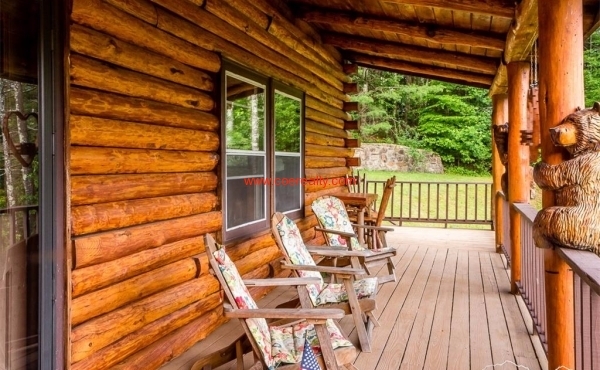 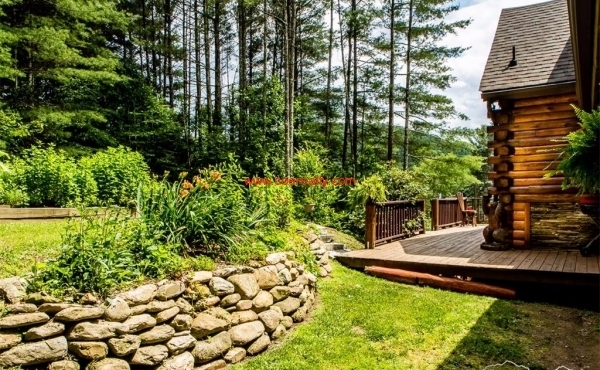 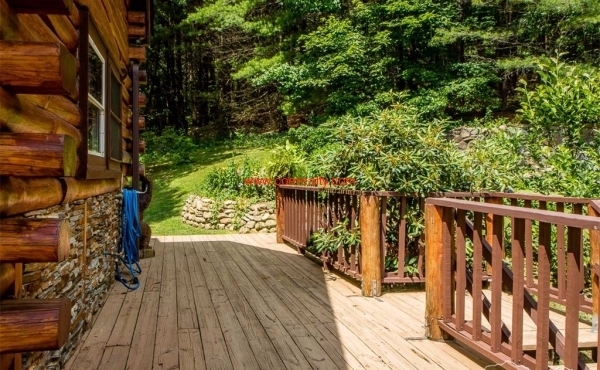 To top it all off, sit on the front deck and enjoy a view of Grandfather Mountain. 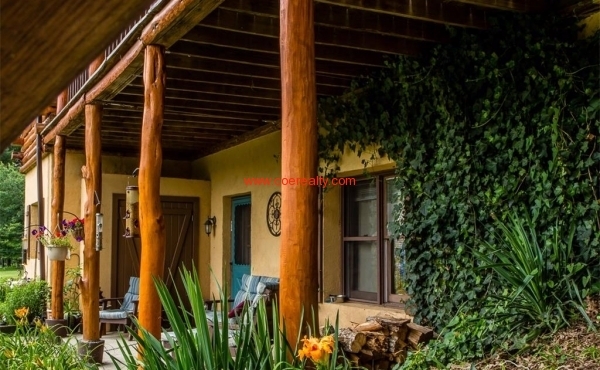 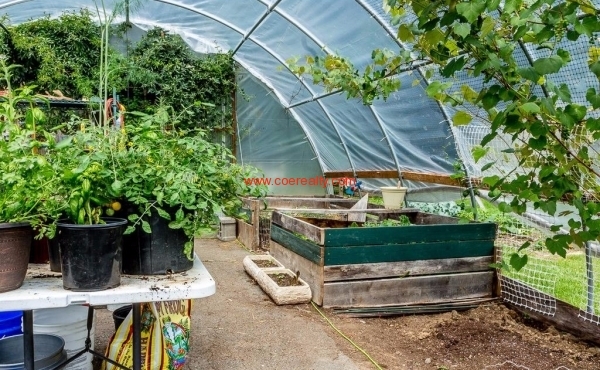 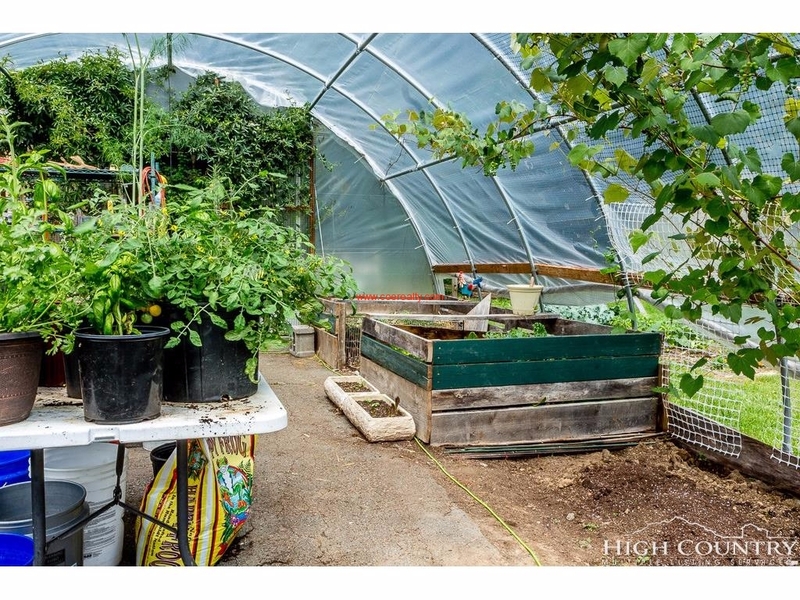 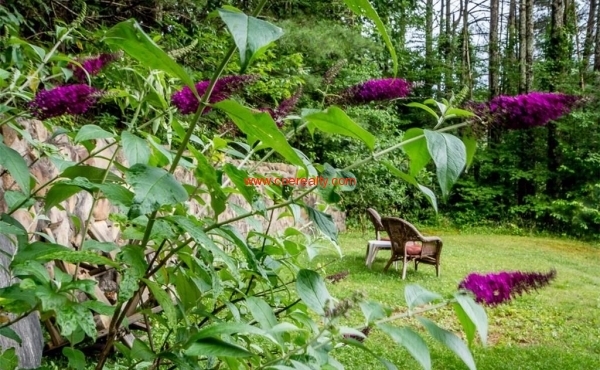 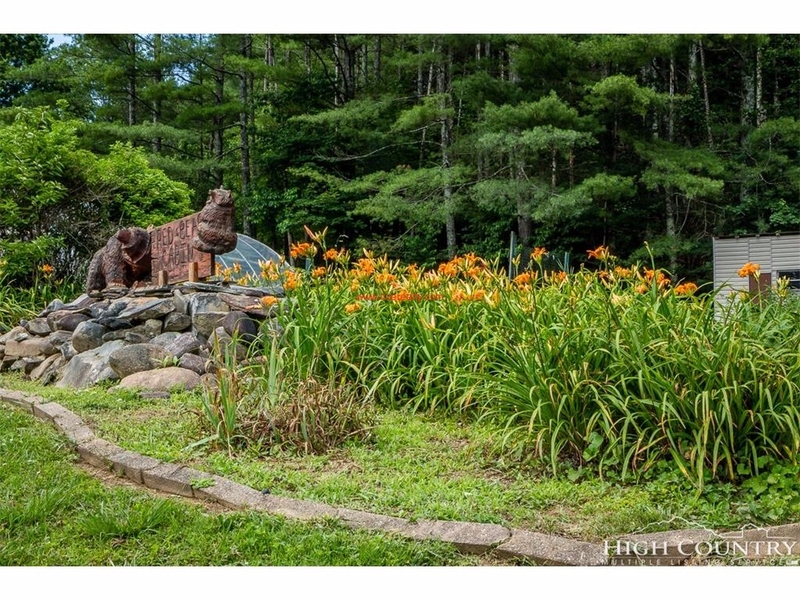 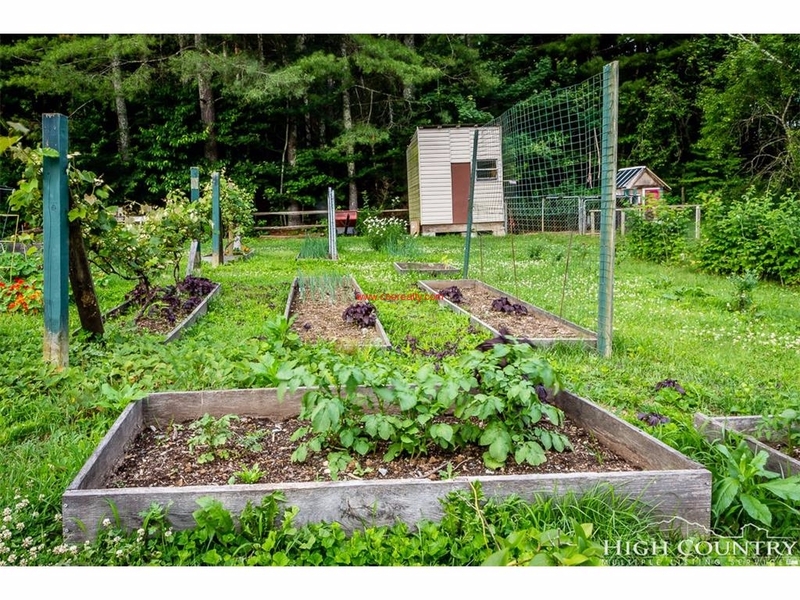 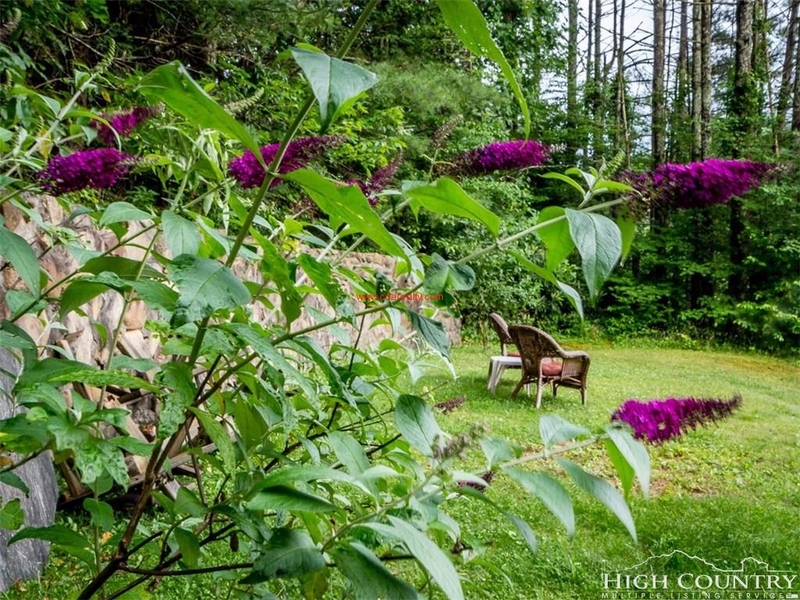 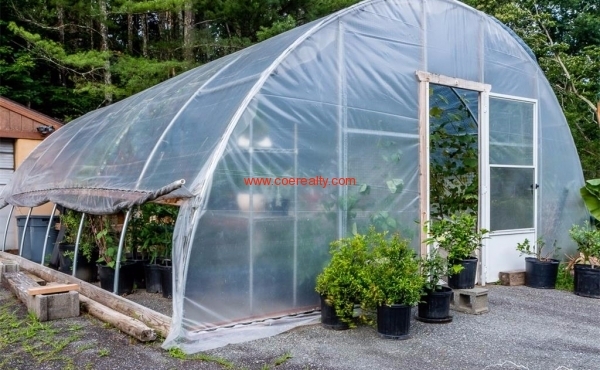 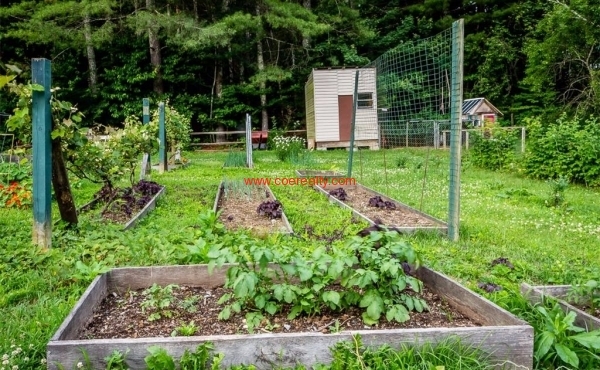 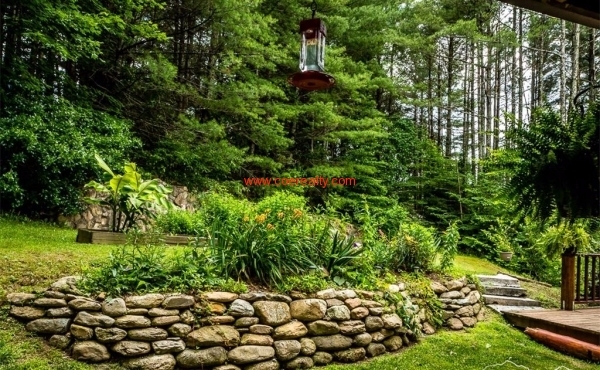 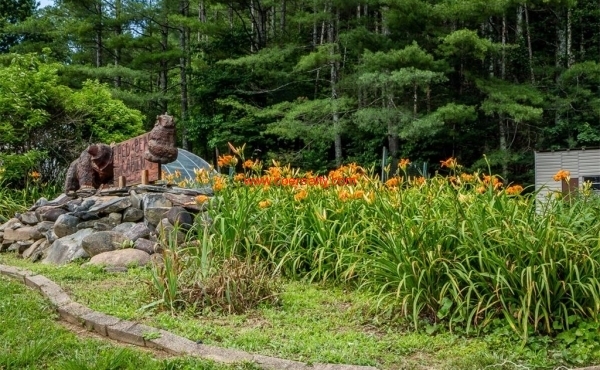 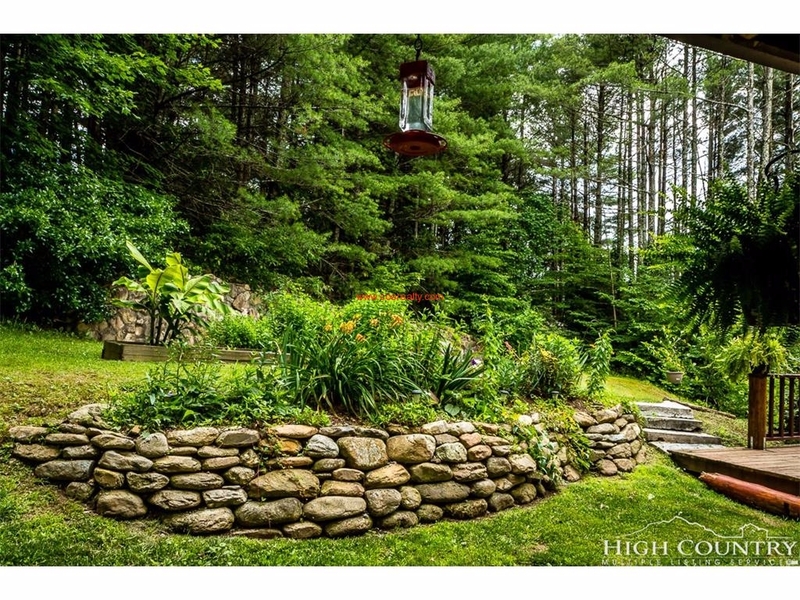 The yard is beautifully landscaped and includes a garden with perennial berries. 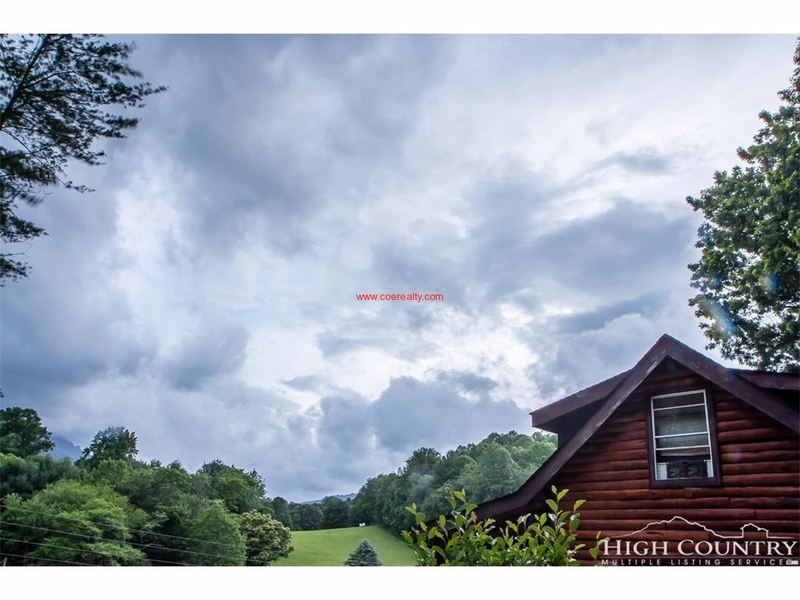 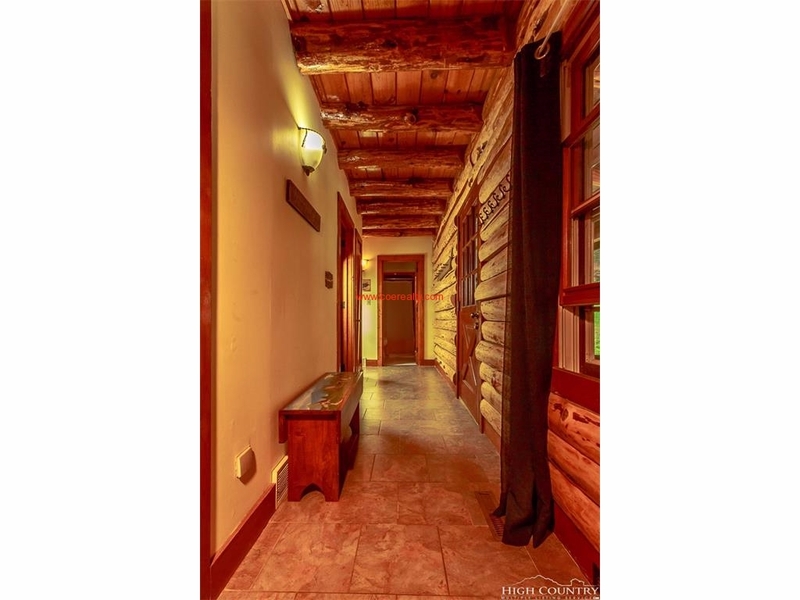 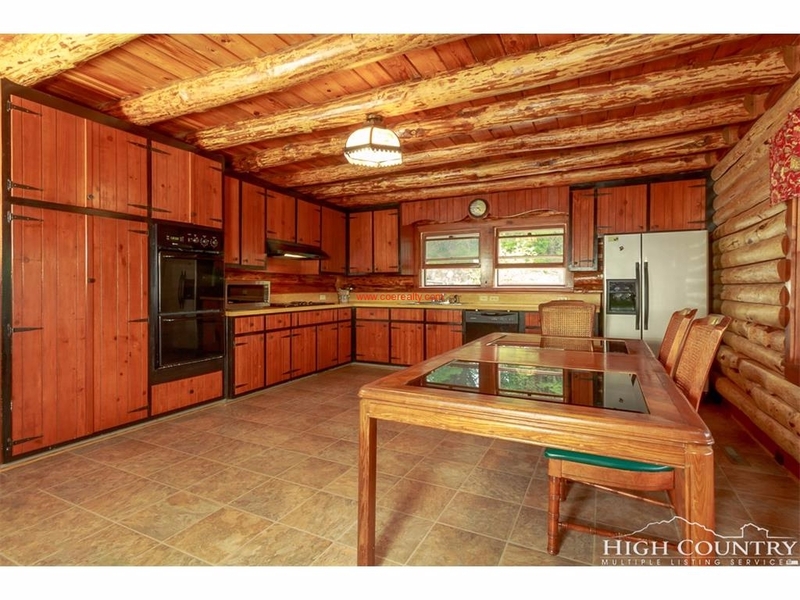 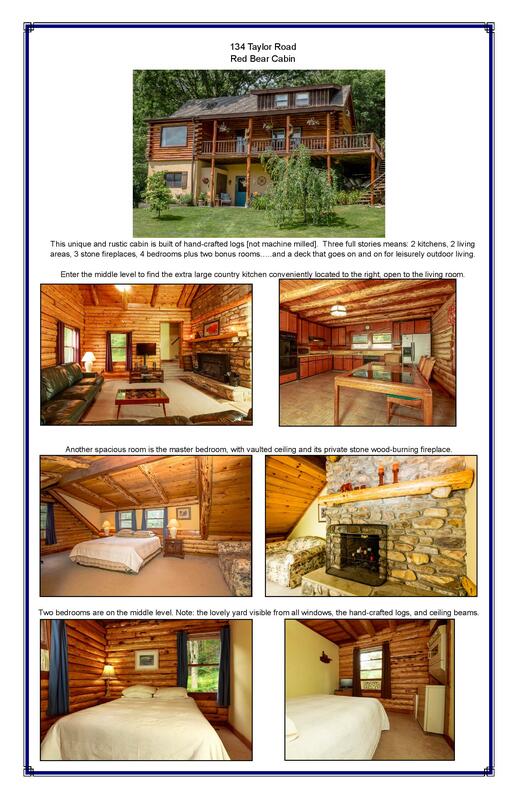 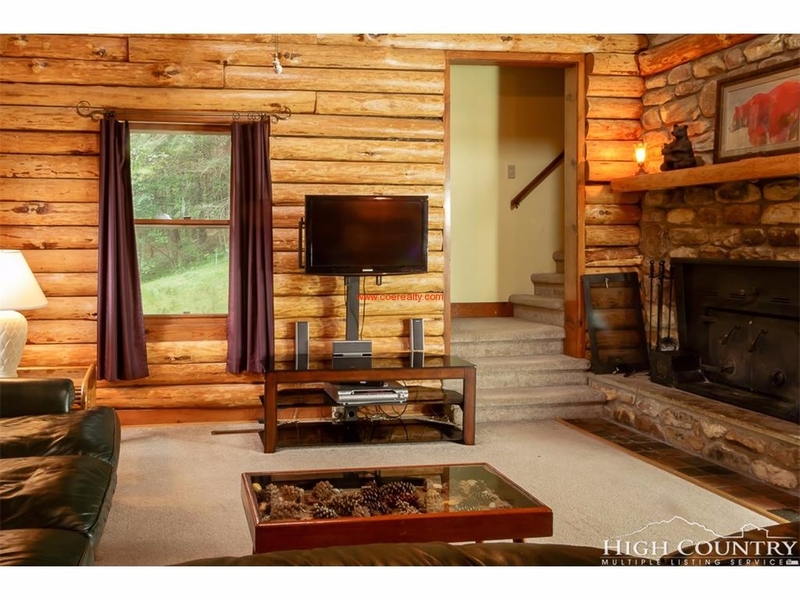 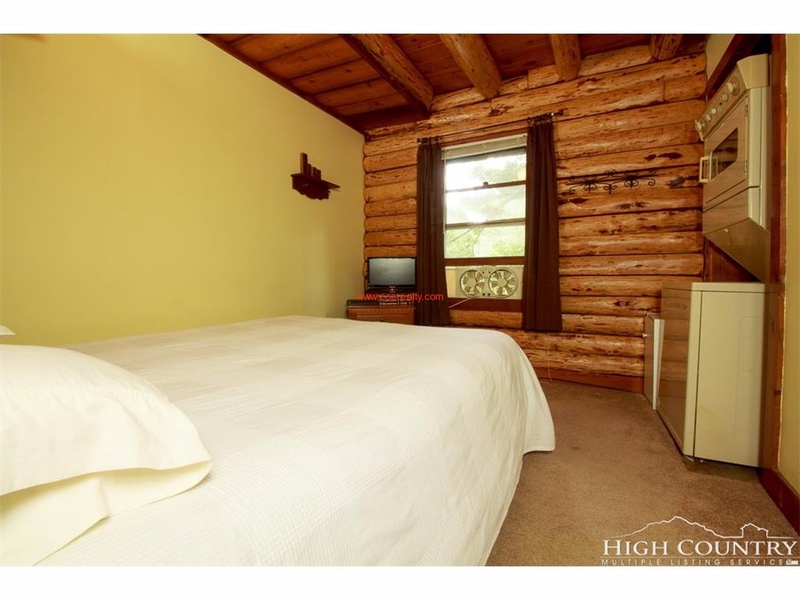 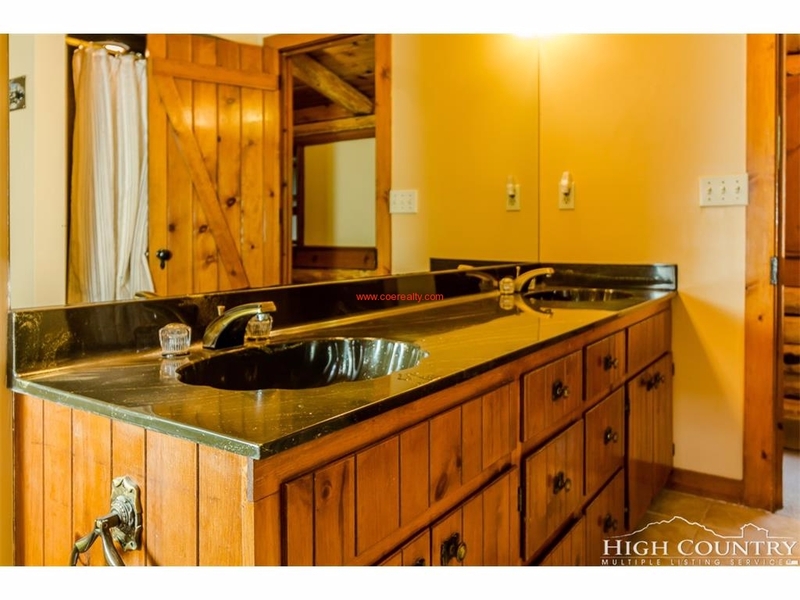 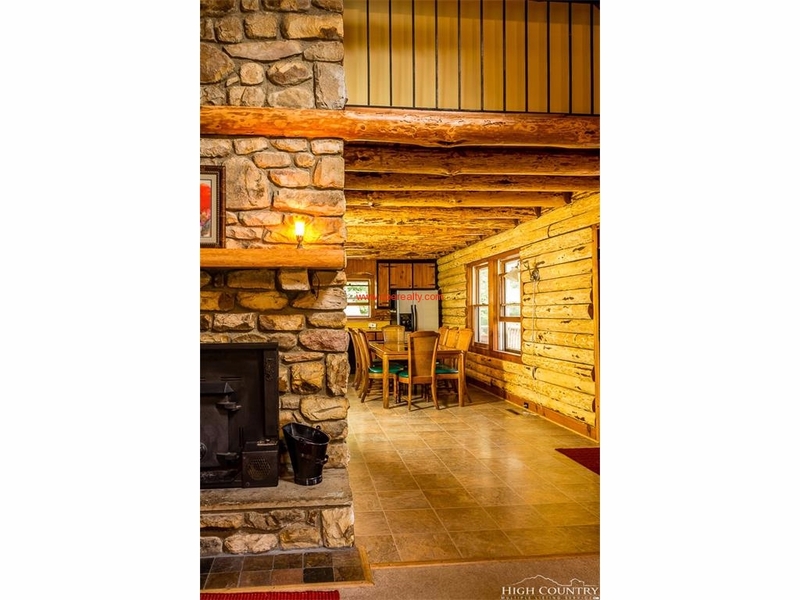 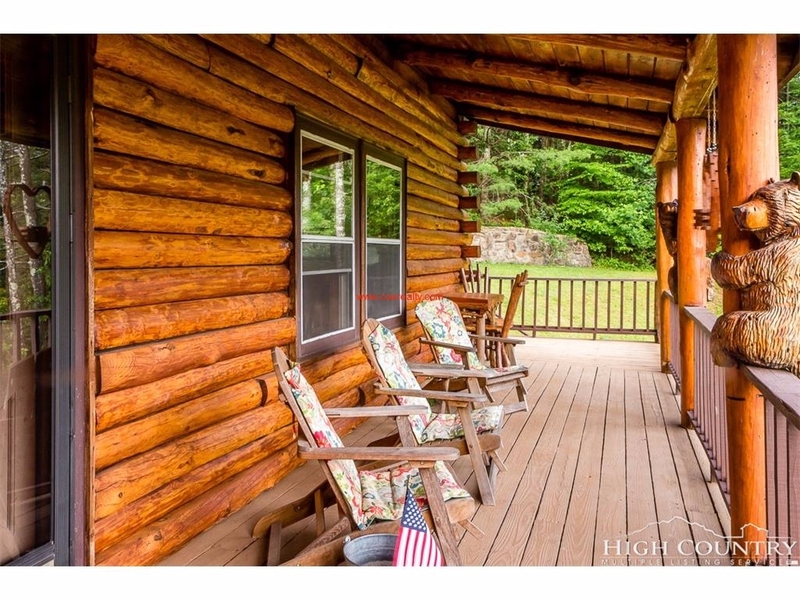 Central to all high country amenities and activities. 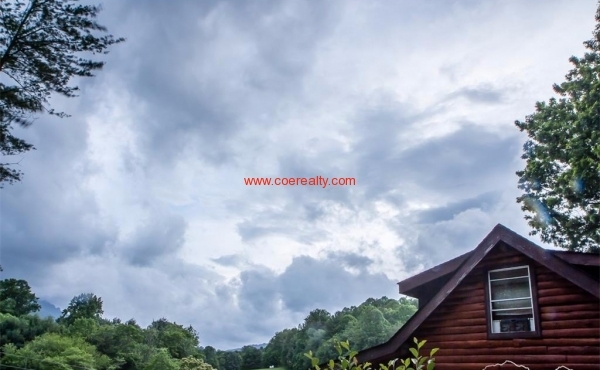 © Coe Realty All Rights Reserved. 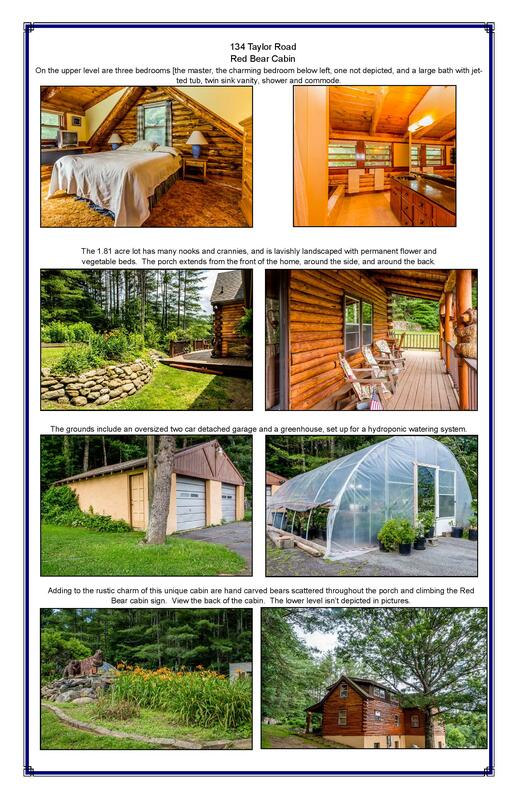 Website Designed and Maintained by The Geeks at Work & Computer Tamers.